Ziehler Lawn and Tree Care > Meet the Ziehler Team! The Ziehler leadership team is made up of a group of talented and devoted people who have made a commitment to the highest levels of exceptional service and experience. Meet them here. Hi! My name is Andrew, and I’ve been with Ziehler Lawn and Tree Care since 1999. I started right out of high school, I’ve really enjoyed working with our team and seeing the company grow. I also enjoy providing a great customer experience and hearing feedback from satisfied customers. Hi! My name is Dessine and I have been with Ziehler Lawn and Tree Care since 2006. I started working here while I was pursuing my undergraduate degree from Wright State University. Hello! My name is Grant and I am the Sales Manager. I oversee the sales and production of the Lawn and Tree Care Division. I’ve been with Ziehler Lawn and Tree Care since 2010, but I have been in the lawn care industry for 10 years – even longer if you count mowing lawns since age 11! Hi, I’m Chris and I’m a Solution Specialist at Ziehler Lawn and Tree Care! I’m new to the Z team, but the work environment is so warm and friendly that I already feel like I’m part of the family. It’s my job to diagnose various lawn conditions and ensure that our customers get the treatment they need to get their lawn looking vibrant and healthy! Hello, my name is Sean and I am the certified arborist for Ziehler Lawn and Tree Care. I have been working here since 2011, but I have been in the industry for 23 years. What I love most about working here is that our team is more like a family. We are a very tight-knit group of people and I find great value in that. Hi! I’m Jaques, a Lawn Service Manager at Ziehler Lawn Care. I’m an honest, hard-working person that has always enjoyed working outside. I’ve been in the lawn care industry for almost 10 years and my favorite thing about working with Ziehler is training new technicians. The passion the Z-team has is unmatched and you feel you can be proud of what you do. It really feels like a family. Hello! I’m Julie, a Customer Service and Accounting Specialist at Ziehler Lawn and Tree Care. I have been with Ziehler Lawn and Tree Care since 2013 and enjoy all of the people I work with! Prior to working here, I worked in the landscape industry for 25 years. 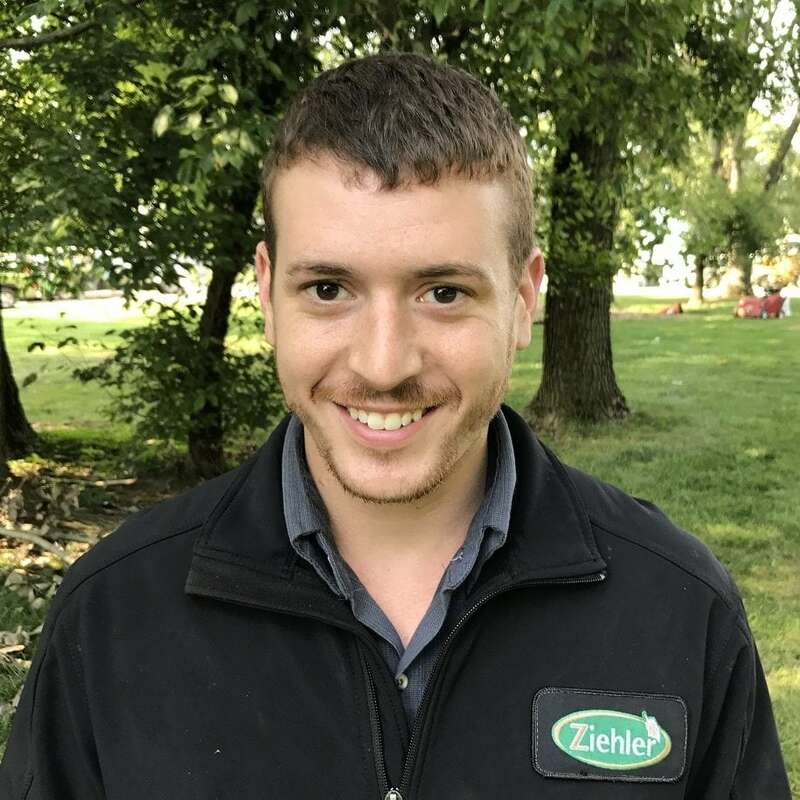 Hello, I’m Josh, the Scheduler and Shop Manager here at Ziehler Lawn and Tree Care! I have been with the company since 2010 and really enjoy the close-knit, family atmosphere here. When I was in high school I had my own company and went on to pursue a degree in Landscape Management, which brought me to Ziehler Lawn and Tree Care for an internship.